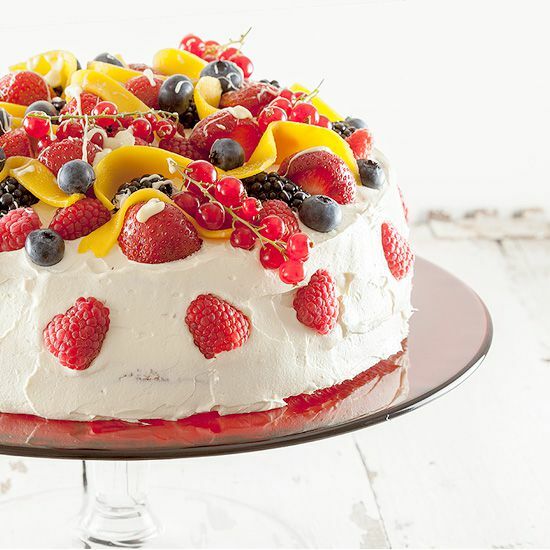 Today we are celebrating our first ohmydish.com anniversary with a pretty summer fruit celebration cake. Grab a fork and join us! 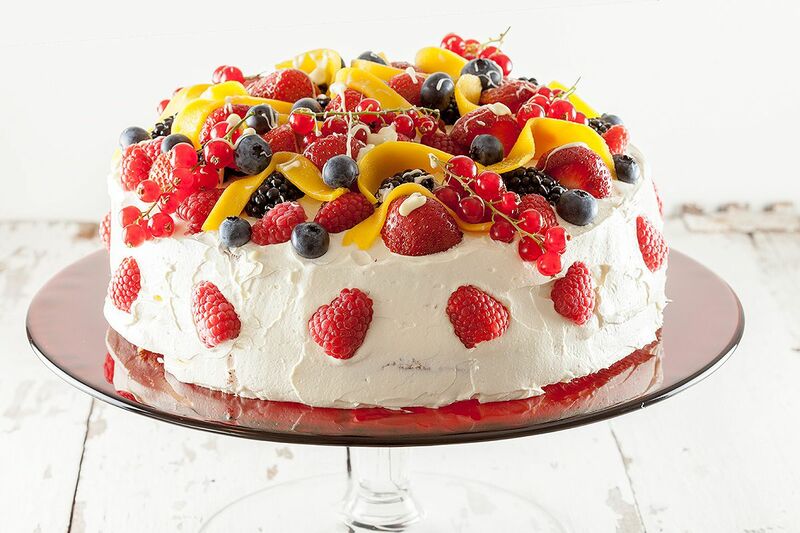 Start by making two simple cakes. 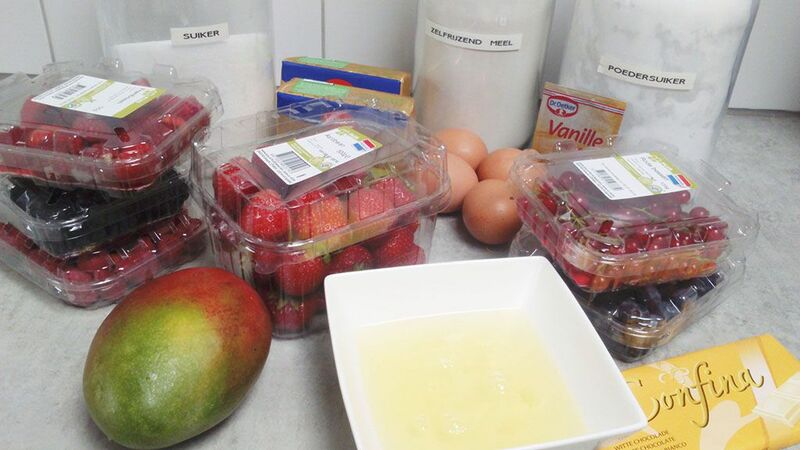 MIX sugar, butter and vanilla sugar in your standmixer, or handmixer bowl, until a very smooth mixture appears. One at a time, add the eggs and keep on mixing. Start adding the flour little by little and keep on mixing until you’ve reached a smooth and light yellowish batter. USE butter to coat the spring forms and dust them with flour. Pour the batter into round spring forms. PRE-HEAT the oven to 165 degrees celsius or 330 degrees fahrenheit. DIVIDE the batter in two and POUR the batter in the prepared spring forms. BAKE the two cakes in about 1 hour. Don’t open the oven in the meanwhile, otherwise the cake will collapse. POKE with a wooden skewer to check, when it comes out clean, the cakes are ready. Let them cool off completely on a cooling rack. MIX the butter, teaspoon vanilla extract and powdered sugar until you’ve reached a very smooth buttercream. That’s it! PLACE one of the cakes on a cake stand. 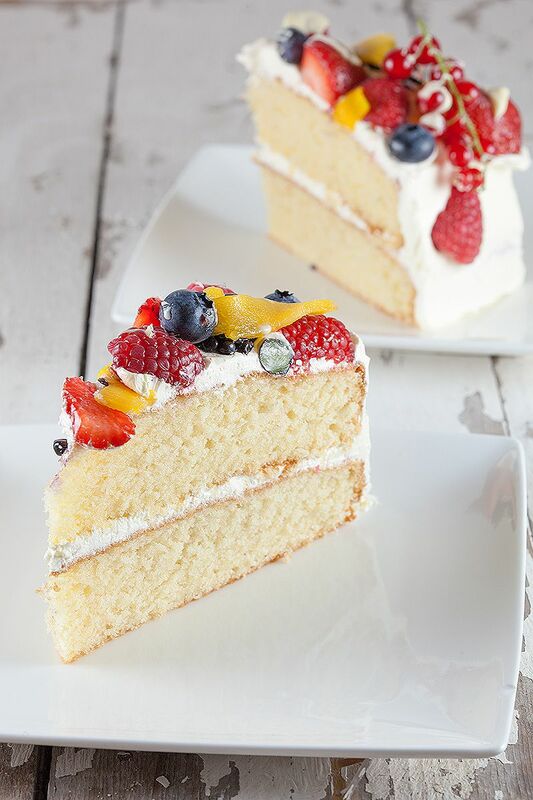 SMEAR a layer, not too thick, evenly over the top and place the second cake on top. COAT the cakes with the rest of the butter cream, this will go best using a small cake spatula. PEEL a mango and cut half of it into thin slices. 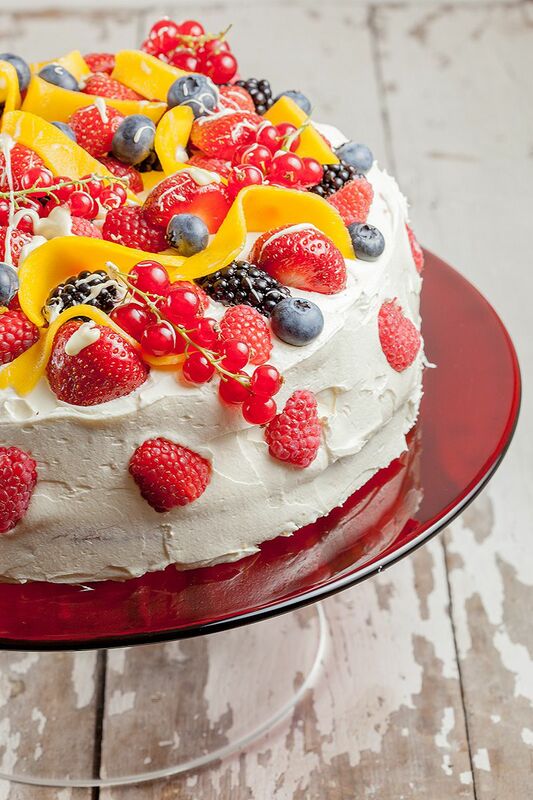 DECORATE the cake with the summer fruit, as much as you like. CREATE a bain marie by adding a layer of water to a pan and placing a bowl on top with the pieces of white chocolate. MELT the white chocolate and drizzle on top to finish it off.